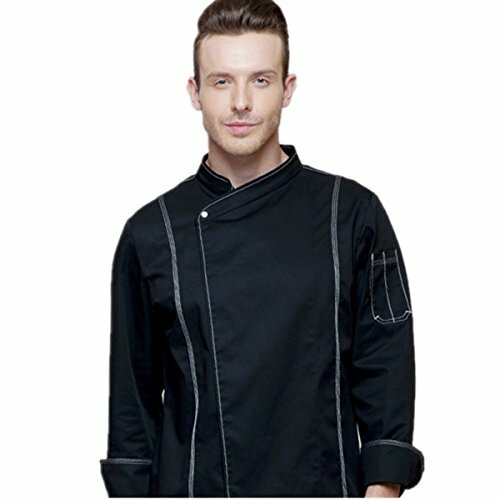 This chef coat is single-breasted and made of a fine poly/cotton blend. The button clsure and chest pocket make it stand out stylishly. Material: Jacket made of 65% Polyester;35% Cotton. Please check the size chart carefully when choosing the size, and the product will have about 2-3cm error. Please understand, thank you!! ! ! ! !